Hundreds of thousands of employees suffer from eye injuries on a yearly basis at work. Eye injuries can occur from a variety of different causes. The majority of eye injuries that employees have can be prevented by following a few essential steps. If your workplace includes a variety of hazards and risks that can cause eye injuries, you are aware that OSHA will require you to provide the necessary protective equipment that employees need to protect themselves. Employees are exposed to numerous hazards on a daily basis, and the exposure to these hazards can be prevented by using safety glasses, safety goggles, helmets, and face shields. Protective equipment in the workplace like safety glasses is vital to the safety of workers and the health of workers. Unfortunately, there are many employees who will not wear their safety glasses, even when it is required by a policy. What are some of the reasons why some employees make the decision to not wear safety glasses? These problems are widespread, especially in situations when the glasses are of poor quality or are not made with any consideration to the eyesight of the employee. Some employees need to wear prescription glasses, and this will require them to need prescription safety glasses. If the glasses do not take the employee’s vision into consideration, this can result in nausea, dizziness, headaches, and fatigue. What steps can you take to encourage all of your employees to wear their safety glasses while at work? Protective equipment policies are designed to reduce the number of hazards and risks in the workplace. If the policies you have established are not being enforced, a variety of things can happen, including confusion and frustration. Some employees will obtain the mindset of “if the next person is not following the policy, then why should I follow it?”. When employees gain this mindset, this will lead to a variety of workplace issues because employees are failing to adhere to the precautions. Taking these steps will ensure that all of your employees will have a clear understanding of how the policy is supposed to work and how it should be followed. It is essential that you educate all your employees on why the workplace has these types of policies in place. Ensure your employees are aware of how they can all benefit from the policies. We encourage you to inform your employees of how protective safety glasses will protect them from the harmful ultraviolet rays. Harmful UV rays will reduce the chances of one developing cataracts so wearing protective safety glasses can reduce these chances. When your employees know why a policy has been established, they are more likely to follow the policy that has been put in place. 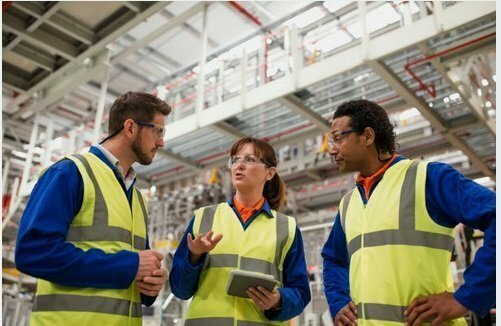 Giving your employees a pair of safety glasses and only telling them to wear them without informing them of the importance will not be a good strategic move. You can get your employees to consistently wear the safety glasses by providing them with as much information as possible, but the information should be given to them in a manner they will understand and find beneficial and respectful. There are many employers who make the decision to provide prescription safety glasses at zero cost to the employees. Sometimes employers may make the decision to host their own vision screenings to determine the vision issues of their employees. Some employees may not even be aware of their vision issues until after the workplace vision screenings. If vision issues are left unnoticed and untreated, this can result in more risks to the employee and the workplace. It is important to remember that safety glasses are not like a one-size-fits-all hat or pair of socks. The type of safety glasses that will fit one employee may not fit the next employee. If one of your employees makes a complaint about their safety glasses, it is important that you do not brush them off and tell them it will take time to get used to it. It is essential that you listen to your employee’s complaints because correcting the issues can have a positive impact on your employee’s health and the safety of the workplace. Some employees may not want to wear their safety glasses because they believe they are not able to afford the types of safety glasses that will meet their needs. Safety glasses that are inferior to their eyesight can cause daily discomfort and eye strain. Thankfully, your workplace has the perfect opportunity to provide an employee safety glasses program that will be affordable to all of your employees. 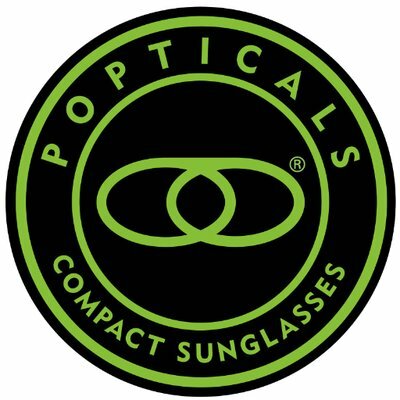 Non-prescription glasses and prescription safety glasses will be best for protecting your employees from chemicals, flying objects, dirt, debris, etc. The lenses in your prescription safety eyewear should meet the standards and regulations that have been established by ANSI. When looking for safety eyewear, you should make sure the safety glasses should contain the ANSI Z87 sticker because this will mean the eyewear has been approved to be used in a workplace where risks and hazards are prevalent. Safety goggles can also be used as part of the safety eyewear program because of the ability to provide protection to the eyes, in addition to the sides of your eyes. 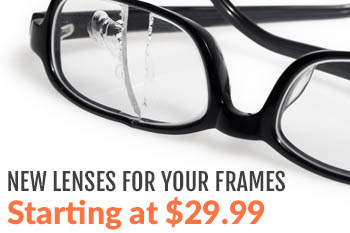 This type of safety eyewear will be great for protecting your eyes from dirt, dust, and chemicals. If safety goggles are preferred over safety glasses, the goggles can be worn over an employee’s prescription eyewear for better safety on all sides. Needing corrective lenses should not hold employees back from doing their job while wearing safety glasses. An employee’s vision does not have to be placed at risk because of the need to wear safety glasses with a prescription. Your workplace can incorporate a safety glasses program that will include protective equipment for those who do not need a prescription and those who do. Does your company currently provide access to safety glasses to those who have a prescription for corrective lenses? Does your workplace offer vision insurance coverage that includes safety glasses? Do you have any problems that will prevent you from offering prescription safety glasses as part of the insurance coverage? We understand how important prescription safety eyewear is to those in your workplace who have to wear corrective lenses to improve their vision. In order to ensure all of your employees are working in a safe environment on a daily basis, it is essential that you have an effective employee prescription safety glasses program in place. If your employees are constantly being exposed to eye hazards, you should have the proper policies in place. Not only should you have the policies in place, but you should also provide training and classes that will ensure that everyone is on the same page about the importance of wearing the safety glasses. As a workplace leader, you should also ensure that your employees are wearing their safety glasses when they are required so there will not be any accidents and injuries. Implementing this type of program can be the difference in creating a safe and secure work environment and having a work environment that is known for accidents and injuries due to the lack of implementing an effective policy that everyone is willing to follow at all times. Now is the perfect time to create workplace policies and programs that can improve the eye health of your employees, in addition to creating a better workplace. If your company is interested in learning more about preventive measures like an employee prescription safety glasses program, please do not hesitate to contact us today for more information. We want to help you get started in creating an Employee Prescription Safety Glasses Program that will be a great fit for your workplace.